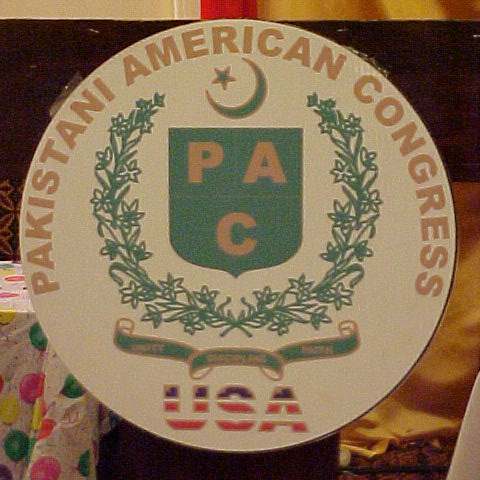 The name of the organization shall be Pakistani American Congress., hereafter referred to as “PAC”. PAC is a not-for-Profit, non-political, non-religious, non-sectarian, socio-cultural organization. 1. To help develop strong relationship between the governments and the people of United States and Pakistan. 2. To preserve, protect, and foster the Pakistani culture and heritage of the Pakistani community residing in the USA. 3. To promote, coordinate and conduct various activities, and organize conventions and conferences for the advancement of the interests of Pakistani Americans. 4. To build a communications network among Pakistani Americans and their organizations nationwide, to coordinate their activities, and to function as an information clearinghouse. 5. To develop resources of talent and expertise in order to help in the overall development effort of Pakistan and the Pakistani communities. 6. To foster friendship, understanding and cooperation between Pakistanis and the American society at large and to promote and enhance the image of Pakistani Americans. Every member organization will provide the names of three delegates in good standing who will become Directors of PAC. All the Directors combined will constitute the Board of Directors. A. To nominate the members of the Executive Committee. B. To participate in all functions held by the PAC on annual, semi-annual or quarterly meetings. C. To provide reports and photographs of their local events for PAC web site. The President shall be the Chief Executive Officer. He or She shall have all powers and duties usually vested in the office of the President and shall execute the decisions and resolutions of the Executive Committee in adherence with the resolutions of the Board of Trustees. c. Event Planning, coordination and program execution. a. Give notices of all meetings of the EC to the respective members. The meetings can be held by the physical presence of the members or via tele-conference or via Skype. b. Attend all the meetings of the EC and record all the proceedings. c. Record or supervise the recording of the minutes of tall meetings. d. Circulate the minutes of the meeting to the members of the committee through emails within two weeks of the occurrence of the meeting. a. Manage all the funds of PAC under the supervision of BOT. b. Deposit the funds in such depositories as are designated by the Board of Trusties. c. Maintain all the financial records precisely and accurately. d. Get the accounts audit yearly by an independent designated CPA. e. Report the balance sheet to the Board in the annual meetings. a. Information Secretary shall work as a liaison between PAC and the Pakistani American Media. Provide all the information duly authorized by the Executive Committee. b. Alert membership about biased and slanderous articles and news items based on wrong information and respond appropriately if necessary with the help of BOT. This is the supreme body of the Pakistani American Congress. The members of this board will be limited to 7 individuals. This board will be comprised with members of the former advisory council. The BOT may invite outstanding community members to serve on the board with mutual consensus. Trustees for the term of 5 years. He will preside over all the meetings of the Board of Trustees. The Vice Chairman of the Board of Trustees will be elected by a simple majority of the Trustees for the term of 5 years. He will serve as Chairman in case of absence, or unavailability of Chairman. a: Secretary will call the meetings of the Board of Trustees. The meetings can be held by physical presence or through electronic media. d: Issue media advisories on PAC's affairs and PAC's positions on national and international issues. a. To pick the suitable candidates out of nominations by members of Board of Directors for various positions of Executive Committee. d. To oversee the finances and get them audited yearly. e. To resolve any disputes among the EC members. The Board of Trustees will have veto power in such conflict resolutions. f. The BOT will arrange to fill the seat vacated by the resignation or removal of any executive. The newly appointed executive will stay at the position until the end of present electoral term. g. In the event of a tie vote on any matter, the Chairman will cast the deciding vote. h. The BOT will act as the legislative body and a think tank to further uplift the PAC in its overall objectives. a. It must be established and located in the USA. b. It must have adopted and should function under a constitution and or by laws. c. It must be a not-for-profit organization. d. It must subscribe to the objectives of the Pakistani American Congress. e. It must agree to pay upon acceptance the membership dues. f. It must have at least seven dues paying members. g. It must not be connected with any political party. h. Non-voting individuals can become members of the PAC with the approval of BOT. A separate list of non-voting members will be maintained. They will required to pay the annual dues like regular members. An organization seeking membership in PAC shall submit an application on the prescribed form along with the copies of the following documents. b. Current list of members and elected officers with their titles, addresses and telephone numbers. c. Copies off any published literature, newsletters or programs. 1. The application for the membership shall be reviewed by the EC and submitted to the BOT for action. 2. Upon approval by BOT, the applicant shall deposit with the Congress the membership dues. 3. The newly accepted member organization shall communicate to the President the names, addresses and telephone numbers of the no more than three of its representatives who shall serve as voting members of the Board of Directors. 4. A member organization shall inform PAC of any and all relevant changes immediately upon the change taking place. Following are the membership and annual dues to be paid by every office holder. The dues must be paid within 3 months after the annual convention or upon being sworn in as an n office holder of PAC. Annual dues must be paid to the treasurer of PAC before September 30th of every year. The meetings can be held by physical presence of the membership or via tele-conference or via Skype. at least once a month at a convenient time and day to review the activities of the last month or set the future tasks. In the annual conference physical presence of members of BOT and EC is required. a. Review activities of Executive Committee since the last meeting. b. Assess the financial status. d. Transact any other business. e. BOT can hold an emergency meeting to deal with EC internal conflicts. a. For a meeting of the EC, a one week notice shall be required. b. For a meeting of the Board of Trustees, a one week notice shall be required. c. A Quorum for a meeting shall consist of the following: In case of EC 51% of the membership shall constitute the Quorum, and in case of BOT a 25% of the members shall constitute the quorum. d. In case of EC, the General Secretary, and in case of BOT the Vice Chairman can issue a notice of meeting. The Pac will go through Electoral Procedure every two years for the positions of President-Elect (who will automatically become President at the expiration of the term of current president), three Vice Presidents, General Secretary, Additional General Secretary, Treasurer and Information Secretary. 1. The Chairman, in consultation with the BOT members, shall ask to the members of Board of Directors for nominations of candidates for all positions on prescribed forms, duly signed by the nominee and the nominator. 2. The nominee shall be one of the official delegates eligible to participate in the electoral procedure. 3. The Chairman will announce the dates for closer of receiving and revoking nominations. 4. The Vice Chairman of the Board of Trustees will call the Board meeting to review all the nominations for all positions. The board members will elect the office bearers with simple majority vote. 5. The Chairman of Board of Trustees will announce the results. 1. Membership of an organization can be suspended or revoked if it has been proven to be in violation of the Constitution of the PAC or failing to fulfill the terms of the membership of PAC at any stage and time. 2. The Board of Trustees shall determine if an organization is in violation of the constitution of PAC or is in failure of fulfilling the terms of the membership of PAC. The Board of Trustees decision will be final. Membership in the EC and BOT may be terminated if a member acts against the aims and objectives of PAC and its overall good reputation. a. The complaint against any member of the Executive Committee or Board of Trustees should be filed to the Chairman of the BOT. In case, a complaint is received against the Chairman, the Vice Chairman will preside over the proceedings as the Chairman. b. The Chairman will call a meeting of BOT for this purpose only. c. One week’s notice will be given for the meeting. d. After BOT meeting is convened, the matter is put for discussion. The accused member will have the opportunity to present his defense. All Trustees present in the legally convened meeting should be considered as the quorum for the meeting. In case of a unanimous decision of the Trustees the membership of the accused be terminated and he shall be notified by the Chairman that his membership in PAC and his position in the EC of BOT is terminated. 1. The Chairman of BOT shall convene a meeting for this purpose only, on his own initiative or by two third members of BOT written request. 2. Amendments shall be considered passed upon a Yes vote of the two-thirds majority of the members. 3. The amended clause (s) shall become effective immediately after the approval and the signature of the Chairman. The Chairman must sign the approved amendment immediately. 4. The amendment (s) become part of the Constitution in (5) working days after their passage, respective of the date of the signature of the Chairman BOT. Powered and hosted by Copyworld Inc.